The lyrics of this traditional song dedicated to one of Italy’s most colorful and lively central region are not far from the truth — Romagna is indeed that great! 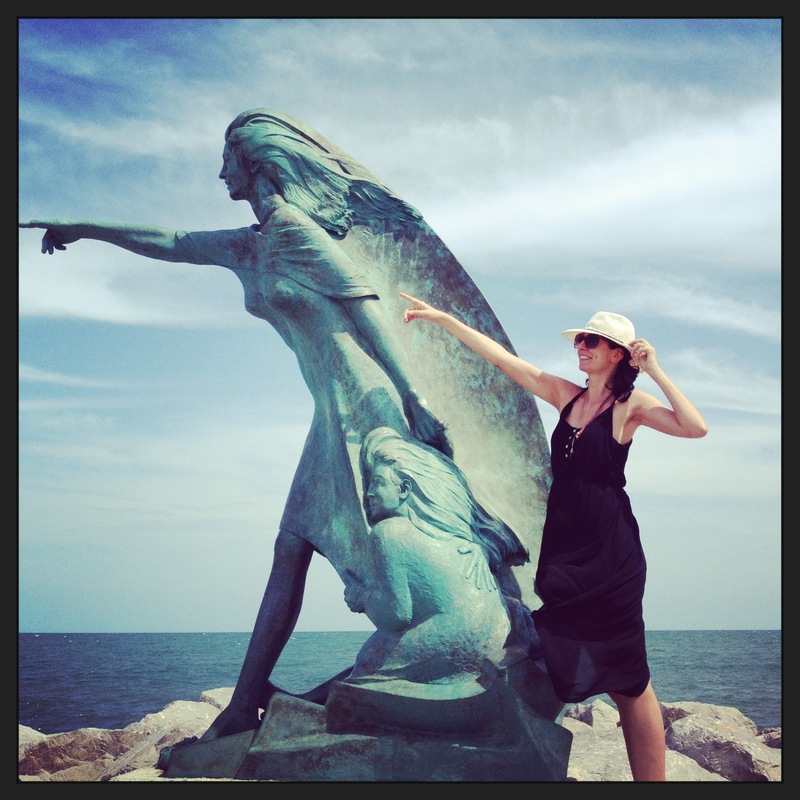 I went to visit my friend Giammario in Rimini for a few days and I left wishing his family would adopt me. The energy and vibe there are so different and everyone is extremely welcoming and nice. 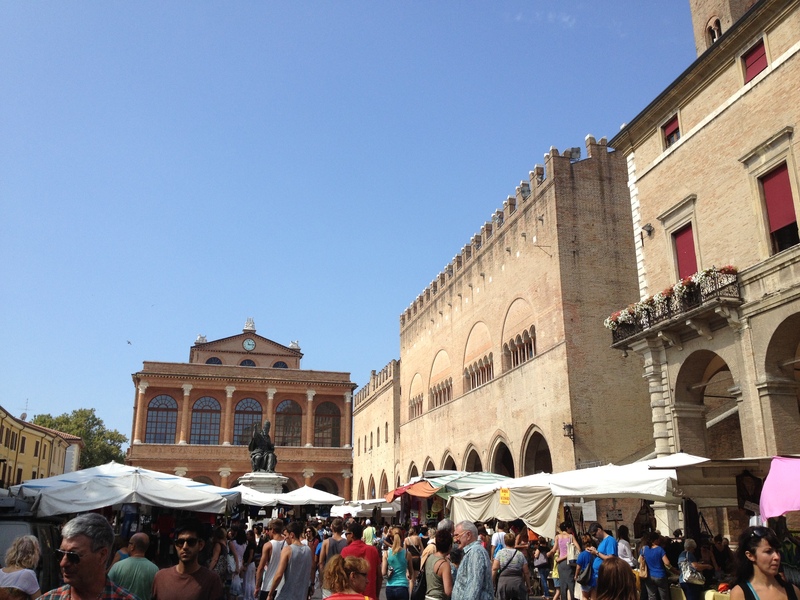 I also discovered that “Italy’s Ibiza”, as Rimini is often referred to for being the most mundane city on the riviera, is rich with history, culture, and art and had a wonderful time visiting the surrounding medieval borghi. 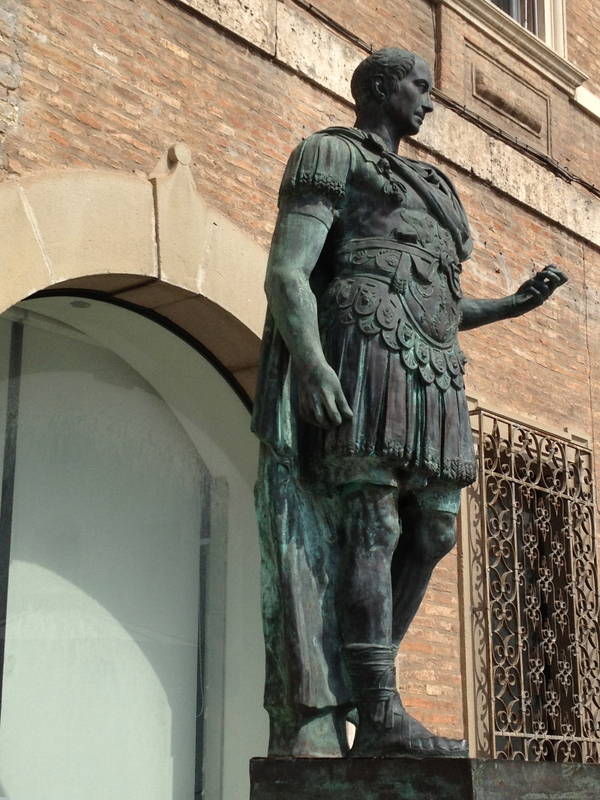 Founded by the Romans in 268 BC, Rimini was a key communications link between the north and south of the peninsula. 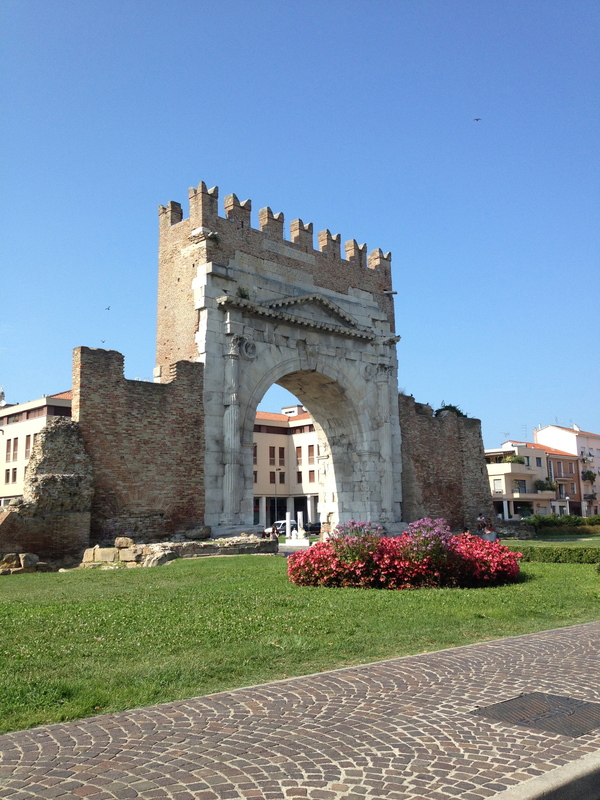 Throughout their period of rule, Roman emperors erected on Rimini’s soil monuments like the Arch of Augustus and the Tiberius Bridge. During the Renaissance, the city benefited from the court of the House of Malatesta, who hosted artists like Leonardo and produced works such as the Malatesta Temple. In the 19th century, Rimini was one of the most active cities in the revolutionary front, where many of the movements aimed at the unification of Italy. In the course of World War II, the city was the scene of clashes and bombings, but also of a fierce partisan resistance that earned it the honor of a gold medal for civic valor. 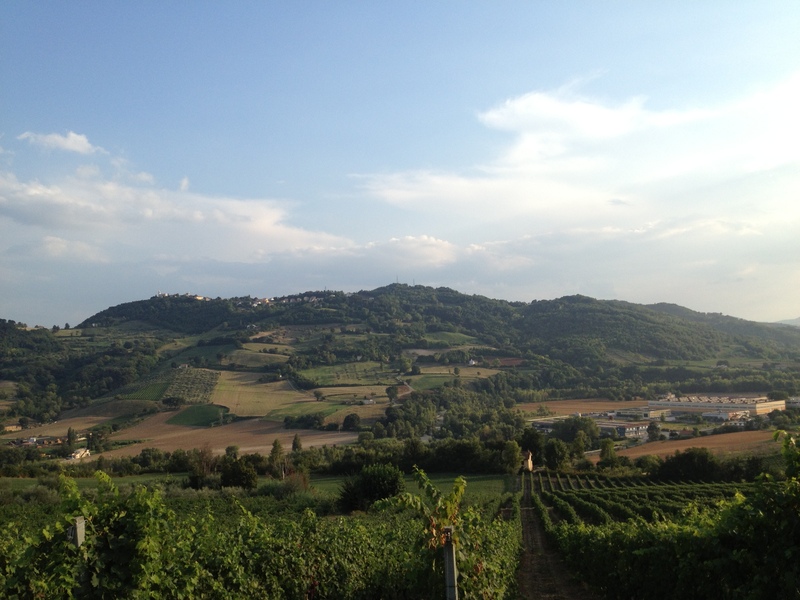 Finally, in recent years it has become one of the most important sites for trade fairs and conferences in Italy. 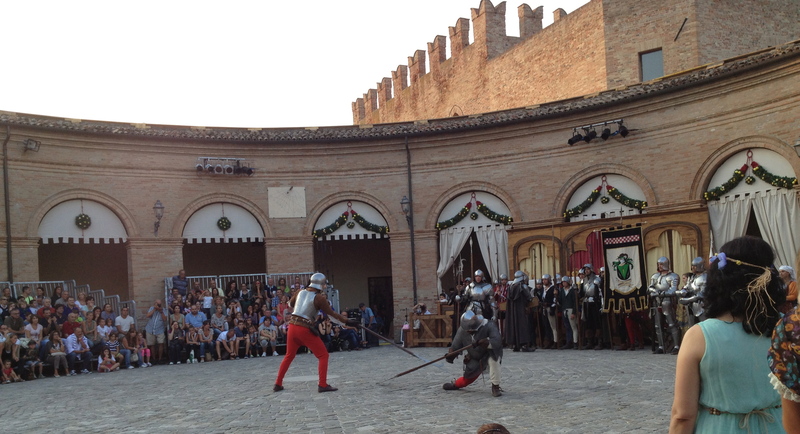 During my stay there, I had the fortune to catch the Palio de lo Daino some 30km away in the town of Mondaino, where the whole borgo reenacts the peace treaty signed by the rival noble families of the Malatesta and Montefeltro in 1459. 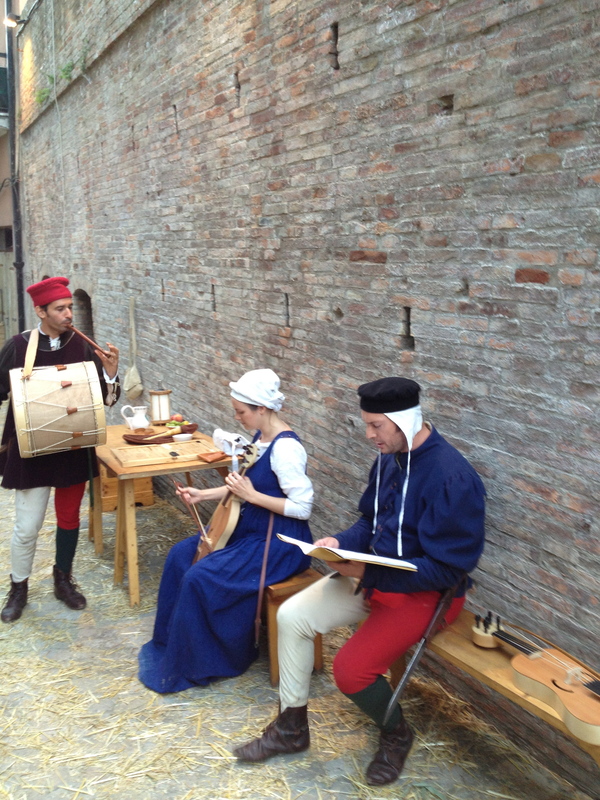 Residents dress up in medieval costumes and set up artisanal shops showcasing artifacts (armatures, helmets, manuscripts, among others) on the first floor of their homes or garages. Chair makers, candle makers, street musicians joyously demonstrate their crafts at every corner. Streets are covered with hay and everything is designed with extreme accuracy, even the many food courts serving delicious foods (mainly the typical strozzapreti pasta and fettuccine with salsiccie) are styled like it’s 1459! 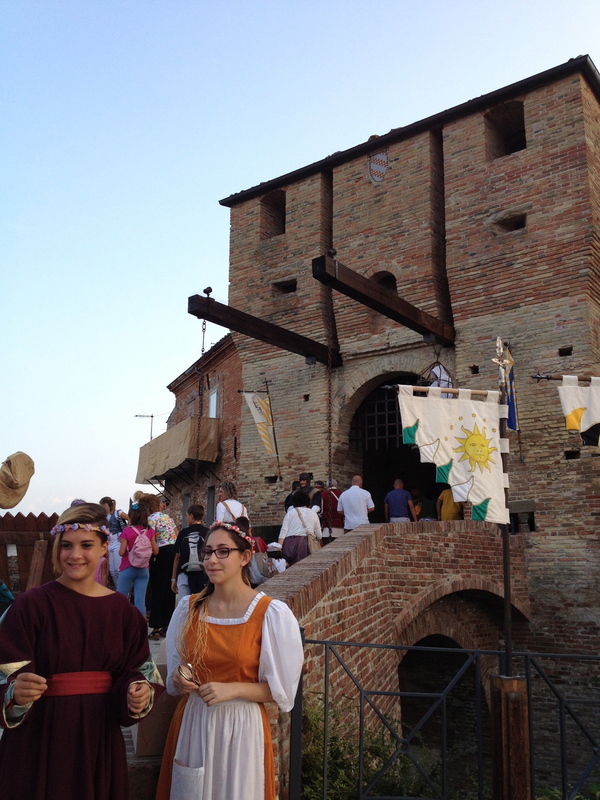 There are many other similar celebrations all throughout the nearby hills in castle towns like Coriano, Montebello, and Saludecio and I’m planning on visiting them all one day. 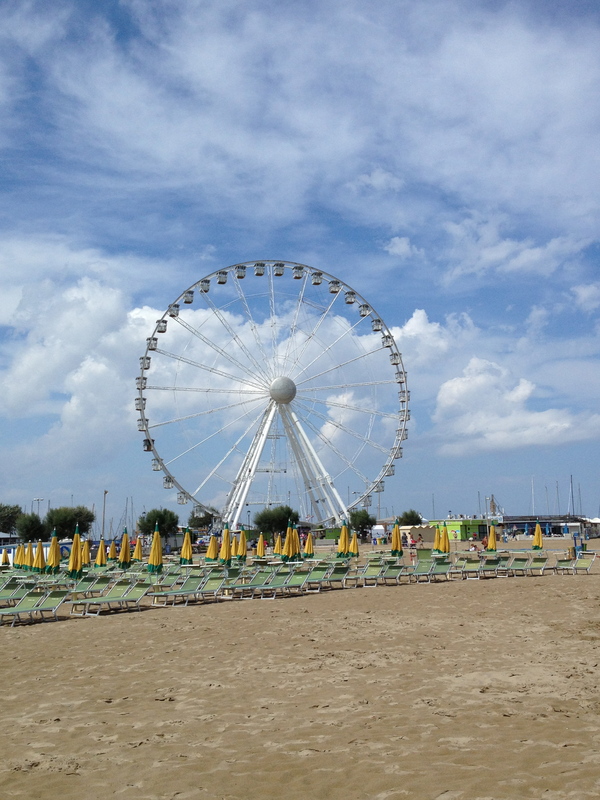 But I couldn’t leave Rimini without suntanning and swimming in the Adriatic Sea, which is a must-do in summer!